FRANKFURT (Reuters) - Volkswagen intends to sell electric cars for less than 20,000 euros ($22,836) and protect German jobs by converting three factories to make Tesla (NASDAQ: TSLA) rivals, a source familiar with the plans said. The Wolfsburg-based carmaker, which declined to comment on the plans, is also expected to discuss far-reaching alliances with battery cell manufacturer SK Innovation <096770.KS> and rival Ford (NYSE: F), the source said. 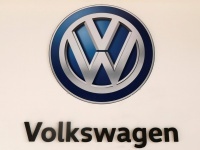 To free up production capacity for electric cars in Hannover, VW's transporter vans could be produced at a Ford (NYSE: F) plant in Turkey, if German labor unions, who hold half the seats on VW's board of directors, agree, the source added. The shift from combustion engines to electric cars would also cost 14,000 jobs at VW by 2020 as it takes less time to build an electric car than a conventional one and because jobs will shift overseas to battery manufacturers. In Europe there are about 126 plants making combustion engines, employing 112,000 people. The largest such plant inEurope is VW's in Kassel.